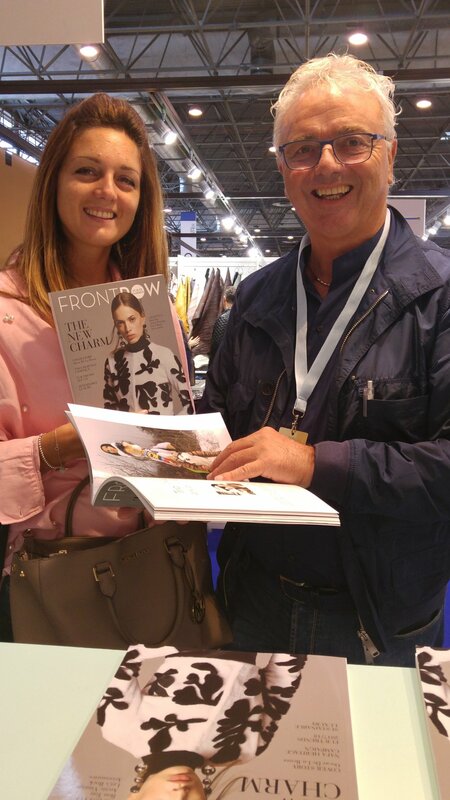 FRONTROW FUR IN FASHION F/W-17/18 number 3edition has been successfully distributed in the Press Village of Hall 3 Leather /Le Cuir and has been fully recognized as fashion trade magazine tool to inform the designers industry about the fur and leather industries. Among our readers apart from furriers who came by to thank us for reporting their products we had lots of young fashion designers from each part of the world very curious about our fur world. There a lot of questions to be answered and we hopefully started with this edition talking about sustainability and high quality products to give more informations. The two annual editions of Première Vision Leather (formerly Cuir à Paris) today enjoy international success thanks to a comprehensive offer, directly tied to the purchasing and supply calendars of the leather and fur industry. The positioning of PV in its market, as well as the selection process put in place, allows us to consider that the Première Vision Paris exhibitors, as a whole, constitute a relevant international representation of the creative materials offer for the value added fashion industry. The PV Awards provides an occasion to honour the most outstanding, inventive and innovative creations from among the textiles and leathers exhibited at Première Vision Fabrics and Première Vision Leather. To decide the winners, the world’s premier fabric and leather show meets each year in September behind a prestigious jury made up of influential personalities from the international fashion scene. The new PV Leather Fashion Smart Creation Prize 2017, goes to Nova Kaeru (BR) For the most creative responsible fabric and leather.